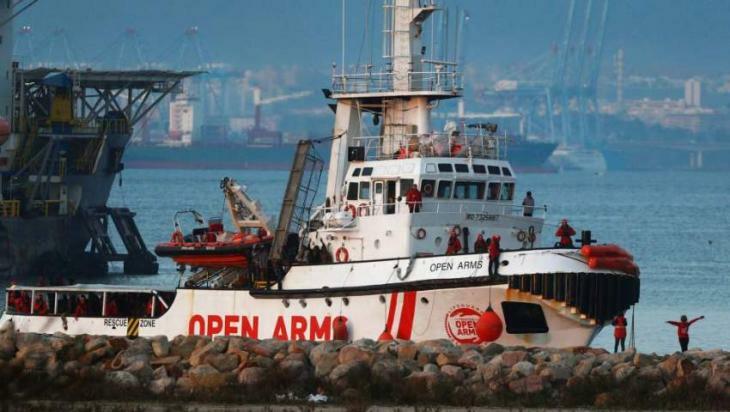 Barcelona, (UrduPoint / Pakistan Point News - APP - 17th Apr, 2019 ) :Rescue charity ship Open Arms received the green light to set sail from the port of Barcelona on Wednesday but will not be allowed to return to the central Mediterranean to save migrants. Pope Francis criticised the Spanish government's decision to block the ship in Barcelona during an interview broadcast on March 31 on Spanish tv channel La Sexta, saying it was "a great injustice". "Why is it done? So they drown?," he asked. Proactiva Open Arms operates between Libya and southern Europe, coming to the aid of migrants who get into difficulties during the dangerous sea crossing from northern Africa. It says it has rescued nearly 60,000 lives since it was founded in 2015. The decision to keep the Open Arms in Barcelona marked a change in policy for Prime Minister Pedro Sanchez's minority socialist government, which made international headlines shortly after it come to power in June by allowing another rescue boat, the Aquarius, to dock in Spain with more than 600 migrants on board after Italy and Malta refused them entry.